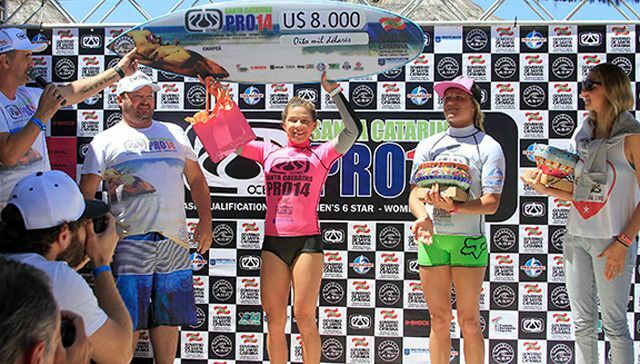 Coco Ho wins 5-Star Oceano Santa Catarina Pro! Surf News Network, 22 October, 2014 : Praia da Joaquina, Florianopolis, Santa Catarina – Coco Ho (HAW) was victorious today at the ASP 5-Star Oceano Santa Catarina Pro over Keely Andrew (AUS) by a score of 16.33 to 9.03 in waves in the 2-3 foot range (1 meter) and pleasant weather at Praia da Joaquina, in Florianopolis, Brazil. With her win on Wednesday, she becomes the surfer with the most World Qualifying Series (QS) wins in South America. In 2010, she won two consecutive events in Brazil. One in Salvador, Bahia and the other at Praia Mole, which is the next beach north of Praia da Joaquina in Florianopolis. For her success today, she earns U$8,000 in prize money and 2,000 WQS ranking points that propels her to 2nd place on the ranking right behind Silvana Lima (BRA). 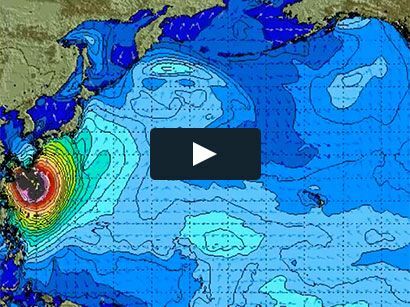 Coco Ho was ecstatic upon receiving the news. “Really! That’s sick, yeah that’s three wins already. It feels great, it’s crazy coming back to Florianopolis, I only knew Praia Mole so I didn’t even realize we were on the same island, so to win again is phenomenal,” exclaimed Ho. Further commenting on her performance at the Oceano Santa Catarina Pro, she added, “The Final was really fun, it was all about who got the best waves. I was pretty stoked that I got that 9.00 and it kind of set the pace. It felt really good and I got it without having priority. I just saw the little wall and I knew I had to go.” By winning the event today, Ho confirmed her qualification for the 2015 World Championship Tour (WCT). In the Semifinals of the 5-Star Oceano Santa Catarina Pro, Keely Andrew set the record for the highest heat total by earning an 18.20 (out of a possible 20) from the judges over Nikki Van Dijk (AUS), who scored a 10.73. Only two events remain on the ASP Women’s Qualification Series. Both will be organized by the ASP South America and will also determine the ASP South America title. The next event will be the ASP 4-Star Mahalo Surf Eco Festival which will run from October 27th-November 1st in Itacare, Brazil and will be followed by the ASP 3-Star Maui and Sons Women’s Pichilemu Pro from November 13th-16th in Punta de Lobos, Chile.